Joan Rockwell was born on 25 April 1625 at England.1 She was the daughter of William Rockwell and Susanna Capen. Hepzibah Pomeroy was born on 27 July 1666 at Windsor, Hartford Co., CT. She was the daughter of Caleb Pomeroy and Hepzibah Baker. Hepzibah Pomeroy died young at Northampton, MA. Samuel Pomeroy was born on 29 May 1669 at Northampton, MA. He was the son of Caleb Pomeroy and Hepzibah Baker. Samuel Pomeroy married Elizabeth French, daughter of John French and Mary Kingsley, circa 1690. Samuel Pomeroy married Johanna Root, daughter of Jacob Root and Mary Frary, on 7 December 1703. [S85] Albert A. Pomeroy History and Genealogy of the Pomeroy Family, Vol. I:Pg. 155/Item 25. On May 13, 1704, John with three of their children were slain in the terrible Indian massacre, and Abigail, with the other children captured, although she had received a severe wound on the head with a tomahawk. One of her descendants has in his possession a silver pin she wore in her hair at the time the blow was struck. Abigail Pomeroy was born on 20 October 1671 at Northampton, MA. She was the daughter of Caleb Pomeroy and Hepzibah Baker. Abigail Pomeroy married John Searle, son of John Searle and Ruth Janes, on 5 April 1694. [S85] Albert A. Pomeroy History and Genealogy of the Pomeroy Family, Vol. I:Pg. 157/Item 26. John Searle was the son of John Searle and Ruth Janes. John Searle married Abigail Pomeroy, daughter of Caleb Pomeroy and Hepzibah Baker, on 5 April 1694. John Searle died on 13 May 1704. Elisha Searle was born in 1695. He was the son of John Searle and Abigail Pomeroy. Joseph Searle was born in 1697. He was the son of John Searle and Abigail Pomeroy. Abigail Searle was born on 15 August 1698. She was the daughter of John Searle and Abigail Pomeroy. Abigail Searle died on 13 May 1704 at Massacred by Indians at age 5. John Searle was born on 9 August 1700. He was the son of John Searle and Abigail Pomeroy. John Searle died on 13 May 1704 at Massacred by Indians at age 3. Caleb Searle was born in 1702. He was the son of John Searle and Abigail Pomeroy. Caleb Searle died on 13 May 1704 at Massacred by Indians. Submit Searle was born on 14 September 1704. She was the daughter of John Searle and Abigail Pomeroy. Elizabeth French was the daughter of John French and Mary Kingsley. Elizabeth French married Samuel Pomeroy, son of Caleb Pomeroy and Hepzibah Baker, circa 1690. John French married Mary Kingsley. Mary Kingsley married John French. Johanna Root was born on 5 November 1681. She was the daughter of Jacob Root and Mary Frary. Johanna Root married Samuel Pomeroy, son of Caleb Pomeroy and Hepzibah Baker, on 7 December 1703. Johanna Root died on 20 January 1713 at age 31. [S807] Find A Grave, online http://www.findagrave.com, Find A Grave, database and images (https://www.findagrave.com : accessed 18 October 2018), memorial page for Drusilla H Johnson (1843–1893), Find A Grave Memorial no. 38822508, citing Mount Hope Cemetery, Southern Pines, Moore County, North Carolina, USA ; Maintained by gleebigg (contributor 47112850) . 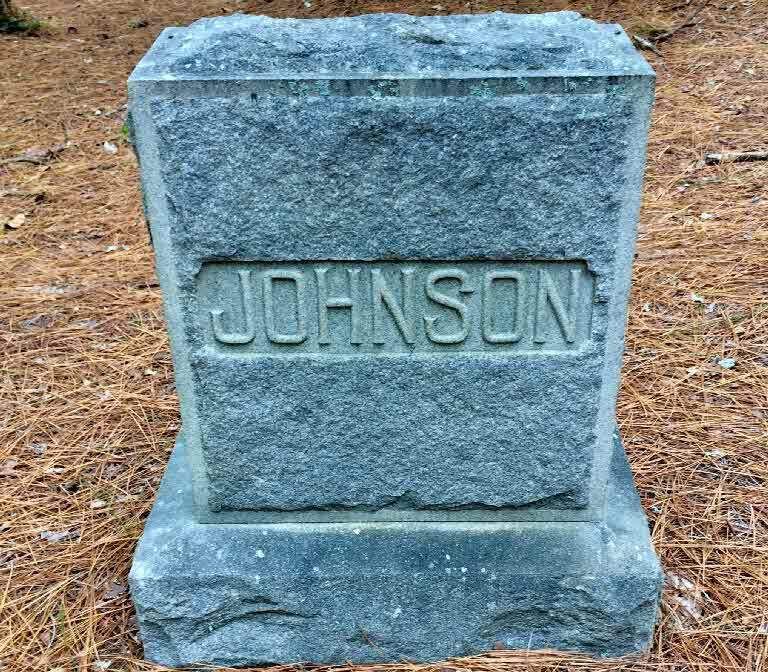 [S807] Find A Grave, online http://www.findagrave.com, Find A Grave, database and images (https://www.findagrave.com : accessed 18 October 2018), memorial page for Lusias Sanborn Johnson (15 Jun 1845–31 Jul 1930), Find A Grave Memorial no. 38822506, citing Mount Hope Cemetery, Southern Pines, Moore County, North Carolina, USA ; Maintained by gleebigg (contributor 47112850) . Hepzibah Pomeroy was born on 19 January 1673 at Northampton, MA. She was the daughter of Caleb Pomeroy and Hepzibah Baker. Ebenezer Pomeroy was born on 14 March 1674 at Northampton, MA. He was the son of Caleb Pomeroy and Hepzibah Baker. Ebenezer Pomeroy died on 12 September 1699 at age 25. Caleb Pomeroy was born on 3 May 1677 at Northampton, MA. He was the son of Caleb Pomeroy and Hepzibah Baker. Caleb Pomeroy died in April 1690 at age 12. Eldad Pomeroy was born on 6 December 1679 at Northampton, MA. He was the son of Caleb Pomeroy and Hepzibah Baker. Hannah Pomeroy was born on 4 July 1682 at Northampton, MA. She was the daughter of Caleb Pomeroy and Hepzibah Baker. Mercy Pomeroy was born on 20 September 1684 at Northampton, MA. She was the daughter of Caleb Pomeroy and Hepzibah Baker. Sarah Pomeroy was born on 6 August 1687 at Southampton, MA. She was the daughter of Caleb Pomeroy and Hepzibah Baker. Elizabeth Lyman was born at Windsor, Hartford Co., CT. She was the daughter of Richard Lyman Jr. and Hepzibah Ford. Elizabeth Lyman married Joshua Pomeroy, son of Eltweed Pomeroy and Margery Rockett, on 20 August 1672. Elizabeth Lyman died on 22 March 1676. [S85] Albert A. Pomeroy History and Genealogy of the Pomeroy Family, Vol. I:Pg. 143/Item 10. Abigail and her second husband, David Hoyt were captured by Indians, Feb 29, 1704. Mr. Hoyt was starved to death, but Abigail was redeemed and married a third time. Abigail Cooke was born in 1660. She was the daughter of Nathaniel Cook. Abigail Cooke married Joshua Pomeroy, son of Eltweed Pomeroy and Margery Rockett, on 9 January 1677. Abigail Cooke married Nathaniel Rice. 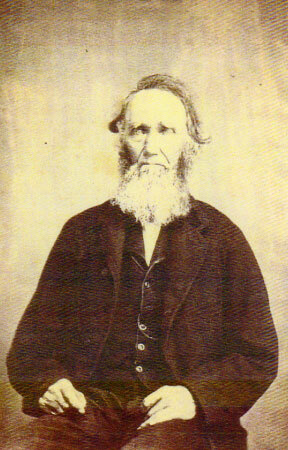 Nathaniel Rice married Abigail Cooke, daughter of Nathaniel Cook. John Pomeroy was born on 2 May 1674 at Northampton, MA. He was the son of Joshua Pomeroy and Elizabeth Lyman. John Pomeroy died on 20 November 1674. Joshua Pomeroy was born on 24 September 1675. He was the son of Joshua Pomeroy and Elizabeth Lyman. Elizabeth Pomeroy was born in 1677 at Deerfield, Franklin Co., MA. She was the daughter of Joshua Pomeroy and Abigail Cooke. Elizabeth Pomeroy died on 16 November 1688. Nathaniel was killed at Pomeroy's island Ford when in pursuit of a party of Indians who had captured two boys the day before at hatfield. The pursuing party reached the location of the present town of Vernon, Vt., on horese and lay in wait upon the river bank. When the Indians appeared on the opposite side of the stream, the colonists opened fire upon them. The Indians and one of the boys jumped into the river and gained the shore. Believing that the savages were about to kill the lad, fire was again opened, the enemy seeking cover. The boy managed to join his companion in the canoe, and both succeeded in crossing the river in safety, but one of the indians who attempted to intercept them was shot. Five or six of the colonists then embarked in the canoe in order to gain possession of the other one, which had lodged on Pomeroy Island, a little distance down the stream. The Indians concealed on the opposite bank, fired upon them when they approached, killing nathaniel who was the last soldier that fell in this war. The Indians were of the tribe Pocumtucks. Nathaniel Pomeroy was born on 9 March 1680 at Deerfield, Franklin Co., MA. He was the son of Joshua Pomeroy and Abigail Cooke. Nathaniel Pomeroy died on 16 July 1698 at age 18. 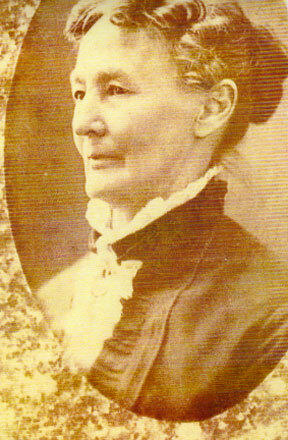 Anna Colton Chapin was born on 23 April 1801. She was the daughter of Heman Chapin and Electa Humphrey. Ellen Chapin was born on 11 July 1806 at NY.1 She was the daughter of Heman Chapin and Electa Humphrey. Ellen Chapin married Isaac Treat Hollister on 18 September 1828. Gayle Ghbesh cites the following sources for the descendants. Memories of Isaac Treat Hollister March 1886 with an addition on Januray 1890, by Isaac Treat Hollister. A Family History written by Mary Frances Millard Hall and Sylvester Millard. Sources at Burton Historical Collection. History of Ontarion County and its People by Charles F. Millikan. The History of the Town of Salisbury, Conn. by Julia Pettee Salisbury Assoc. Inc., Salisbury, CT, 1957. The Chapin Book of Genealogical Data with Brief Biographical Sketches of the Descendants of Deacon Samuel Chapin compiled by Gilbert Warren Chapin; Vol I, the First 7 Generations Published and copyrighted by Chapin Family Association, Hartford, CT, 1924. Isaac Treat Hollister was born circa 1800 at CT.1 He married Ellen Chapin, daughter of Heman Chapin and Electa Humphrey, on 18 September 1828. Isaac was a medical doctor, a state senator and a justice of the peace. He was a state senator in Michigan for one term in 1856. He was a justice of the peace starting about 1849 for 30 years and he became a doctor in 1824 licensed through the Massachusetts medical Society. He was a "Master of Lodge" in 1826 and 1827 but when he became aware of the "Morgan Affair" where a lodge member had murdered someone and the evidence was hushed up, he left the masons and refused to have anything more to do with them. His memories have lots of other interesting things about life in the 19th century. In addition to his own children, in 1830 he adopted mary Samantha Skiff, born in 1828. Isaac and Ellen were enumerated in the 1860 Victor, Clinton Co., MI, federal census. He was town physician, age 58, she was 54. Children in the household were Charles E. 21, Ralph 17, Caroline E. 12. Isaac T. and Ellen were enumerated in the 1880 Laingsburg, Shiawassee Co., MI, federal census. He was a physician age 79, she was 74. Also enumerated in the household were daughter Carrie 32, and granddaughter Ellen 2. 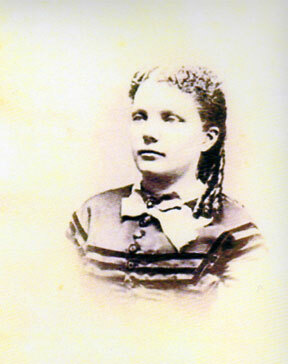 Caroline Hollister was born on 22 January 1848 at MI.1 She was the daughter of Isaac Treat Hollister and Ellen Chapin. Caroline Hollister married Peter Ellis. Caroline Hollister and Peter Ellis were divorced. Caroline Hollister married Jerome Millard. Caroline was a medical doctor. She graduated from Ann Arbor University of Michigan about 1877 and practiced medicine from her home in San Francisco after her marriage. Carrie was enumerated in the 1880 Laingsburg, Shiawassee Co., MI, federal census. She was a Physician, age 32. She was enumerated in the household of her father, Isaac T. Hollister. Enumerated with her was daughter Ellen M. Ellis, 2, born in MI. Jerome and Caroline were enumerated in the 1900 San Francisco, San Francisco Co., CA, federal census, Assembly Dist. 36, ED 146. He was a Chinese interpreter age 68, she was 52 and no occupation was listed. Children in the household were Ellen M. 23, Oliver J. 17, Diadema 15, Sylvester M. 13, Mary F. 8, and Caroline A. 6. Jerome and Caroline were enumerated in the 1910 San Francisco, San Francisco Co., CA, federal census. He was an intreperter for the courts age 78, she was 62. Children in the household were Oliver 17, Mary F. 20, and Caroline A. 18. Caroline and son Oliver J. were enumerated in the 1920 San Francisco, San Francisco Co., CA, federal census, ED 311, in the household of son-in-law Edwin Hall. She was 71, he was 36. California Pioneer and Chinese Interpreter, Jerome Millard by Mary Frances Millard Hall and Sylvester "Mike" Millard. Peter Ellis married Caroline Hollister, daughter of Isaac Treat Hollister and Ellen Chapin. Peter Ellis and Caroline Hollister were divorced. Jerome Millard was born in March 1832 at NY.1 He married Caroline Hollister, daughter of Isaac Treat Hollister and Ellen Chapin. Ellen Ellis was also known as Ellen Millard. She was born in December 1877 at MI.1 She was the daughter of Peter Ellis and Caroline Hollister. Ellen Ellis married John Albert Langenbach in 1902 at San Francisco, San Francisco Co., CA. Oliver Jerome was a member of the Olympic Club in San Francisco. He ran for the Dipsea race (course runs from Mount Tamalpais in Marin county to Stinson Beach) ca 1910 and came in first as an unknown. (He was not a member of the Olympic club at the time) He won the race one more time and held a record for a while. He also ran in the Bay to Breakers race in San Francisco for many years. Oliver Jerome Millard was born on 4 March 1883 at CA.1 He was the son of Jerome Millard and Caroline Hollister.